Organic extracts of Vervain 50%, Valerian root 25%, Mistletoe 25% conforming to British Herbal Pharmacopoeia standards. To feed to your animal either administer straight into the mouth or mix with their normal meal. Given when required. It is not recommended that more than two lots of the above amounts be given in a 24 hour period. Special warnings: Caution should be taken when administering to exotic cats with low body fat, as very occasionally hyperactivity has been induced. 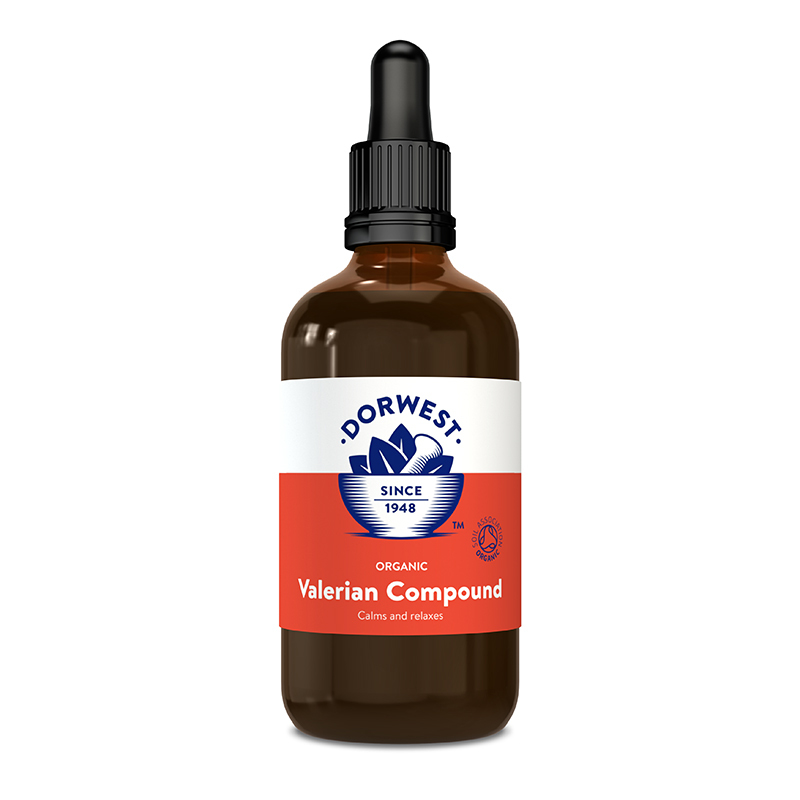 Below are some recent questions we've received regarding Dorwest Organic Valerian Compound, including answers from our team. Does this contain alcohol? If so at what percentage? I can confirm that this product contains absolutely no alcohol. Hi there. Is this suitable for long term use? It talks about fireworks which is a more short term issue. I have a cta who had a very horrible neurological reaction to stronghold spot on and since has been very jumpy and nervous, (was super chilled before this...very sad). She has been ok on Zylkene but its maximum usage is 3 months and I would like to try something natural? Would this be suitable for longer term use for her and also, is it likely after a time to effect more permanent changes in neurology, behaviour etc? This is a very widely used herbal supplement, but has not been developed into a licensed medicine as such. Therefore there is a large wealth of anecdotal information about its effects and also its safety, but scientific research yielding precise answers to the sorts of questions you ask have not been carried out. Therefore based on the evidence I am aware of, I would say that this product is safe to give long-term and some people do do this. I would expect the effect to be mild even in the short term, though it is regarded as perfectly adequate by many people who give it to their animals. Long-term I would expect the effects to be reduced, but with a history as in your cat, one would expect she might gradually become more like her old self eventually with help anyway. It is usual to give either one or the other product. If this does not have an adequate effect, you could try both, though I would not give them at exactly the same time. My dog has an enlarged heart - would it be alright if he has this? This product should not have a bad effect on your dog, though an enlarged heart can need other treatments which you should of course explore with your vet. 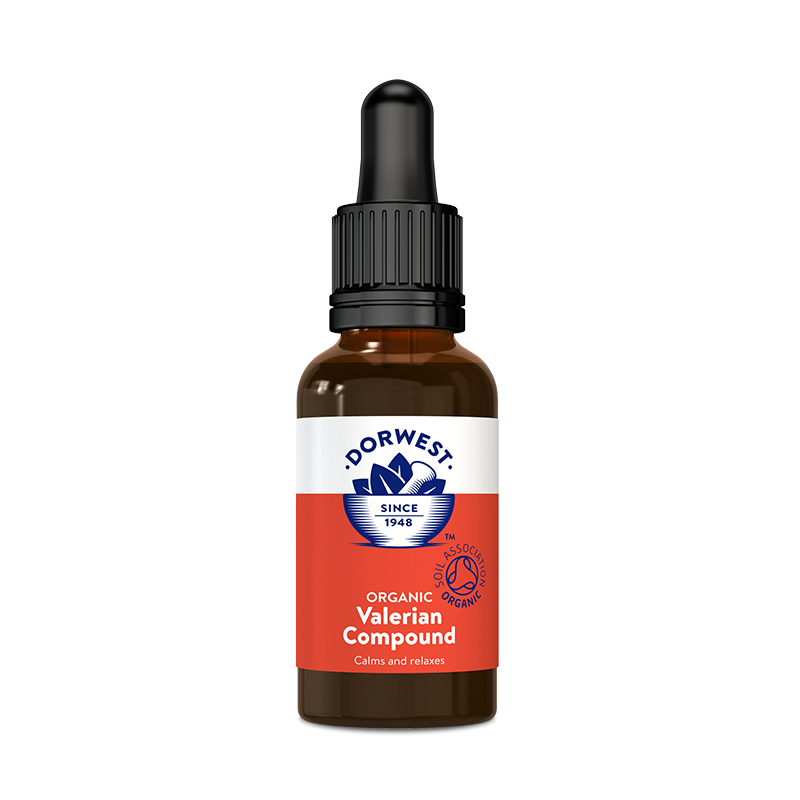 The Valerian will probably be neutral to the heart, though if it calms your dog down generally, it might be beneficial indirectly. How long before effect to work ? If needed to take to the groomers how long from giving for effect to take ? 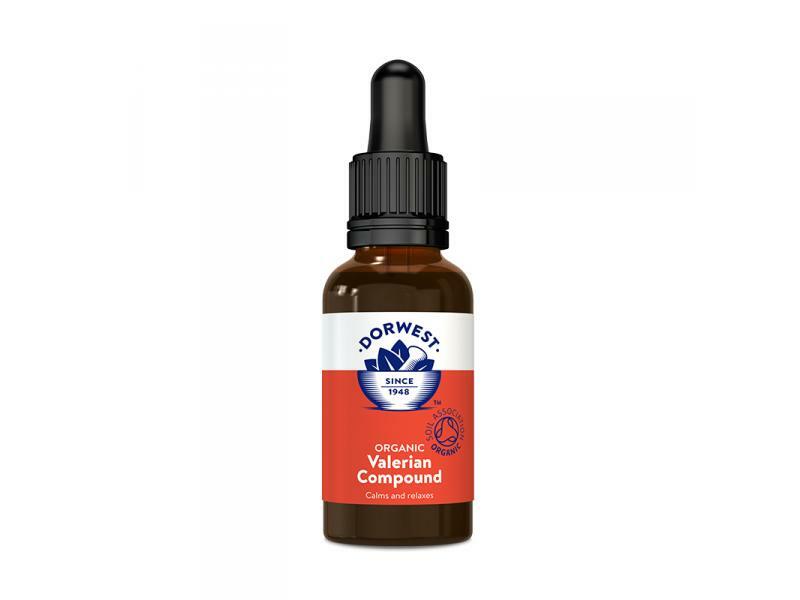 Dorwest Organic Valerian Compound is very fast acting and ideally should be given 20-30 minutes before the desired effect is required. This should aid relaxation for approximately 2-3 hours and up to two doses can be given in one day. 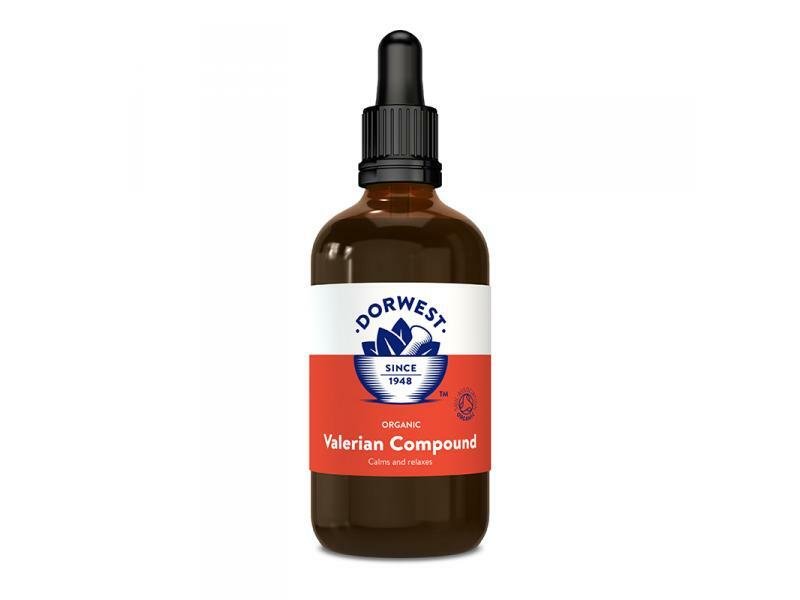 Additionally, when using Dorwest Organic Valerian Compound for cats it can also be used on the bedding and the aroma will help to calm and relax them (please note that the liquid is dark brown and so there is a possibility it may stain, so please be careful what you put it on). Does the dog suffer any side effects after use, sleeping long periods, loss of appetite,vomiting? There are no side-effects I am aware of which are regularly reported with this product. I am sure the occasional dog will have vomited or temporarily gone off its food, but that is what dogs do anyway sometimes. I think this is a very safe product and no side-effects should be expected. what would the dose be for a 30kilo dog and how long does it take for it to have an effect. Also how long does the effect last for before another dose is required. Suggested dose rate is one 5ml teaspoon for a large dog (over about 25kg bodyweight), given as required but not more than twice daily.